Today, Coog Radio program “Some Weird Sin” is announcing its expansion to “Some Weird Sin Records & Radio”. While Some Weird Sin will remain on the Coog Radio schedule (until they kick us off), we will also be releasing records. We are now both a college radio program and an independent record label. With that, we’re announcing our first project, Some Weird Sin Vol. 1. Some Weird Sin Vol. 1 will be the first in a series of compilations exploring the independent spirit of garage, punk, and rock music, and will serve as an amalgamation of their variations. Vol. 1 is tentatively due for release Q3 of 2015, and will be available digitally and on 300 copies of “piss yellow” transparent vinyl. We’re also excited to announce that Dirt Cult Records will be our distribution partner for Vol. 1. All Some Weird Sin compilations, including Vol. 1, will feature exclusively unreleased and/or unpressed songs. 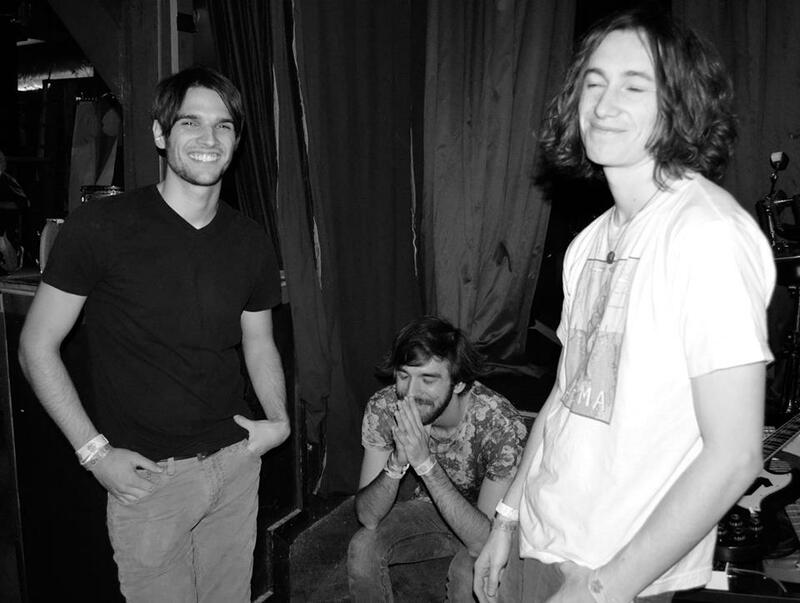 Our first act is π, a psychedelic/garage/experimental rock band out of Austin, Texas, comprised of drummer Sean Lochridge, guitarist/vocalist Trent Langley, and bassist Michael Mullings. Listing the Brian Jonestown Massacre, Tame Impala, and 13th Floor Elevators among their influences, π is a band that’s ever evolving and improving, and on the verge of a breakout. “Feel of Today” serves as the lead single for both Telekinesquid (π’s upcoming album, due for self-release early January 2015, digitally and in a limited CD and cassette run) and Some Weird Sin Vol. 1. We could describe it to you, but it’s much more fun to listen. We’d also like to announce our second artist for Some Weird Sin Vol 1. (we cheated a little with this one), Imp of Perverse. Imp of Perverse is the solo artist name of π drummer, Sean Lochridge. While in talks with π regarding this project, Sean randomly started sending us demo recordings of off-kilter psychedelic shoegaze songs with heavy distortion effects applied to the vocals. We found the approach fascinating and jumped at the chance to release an Imp of Perverse song. Imp of Perverse is a brand new project. We’ll leak more information about the record in the months leading up to the record’s release, including artists, artwork, singles, music videos, more physical release details, and anything else that might be of interest. Next month, we’ll reveal the album cover, as well as four more artists. We’re very excited to take this step forward and we hope you’ll follow us as we work with the musicians we love and respect. Previous The 1975 Performs a Sold Out Show In Houston!